This Vinyasa Yoga Teacher Training in Fort Lauderdale is taugt by Lizzy Hoffmann, director of Urban Bliss Yoga and a lifetime yogi. This is a 300 hour Yoga Teacher Training focusing on the therapeutic approach to Asana. 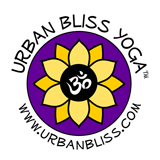 Yoga Teacher Training in Charlotte, NC will be taught by Pauline, Yoga Teacher Trainer of the Urban Bliss School of Yoga. This Charlotte Yoga Teacher Training is an immersion training and you will meet 7 days a week. Why a Yoga Teacher Training Immersion you might ask yourself? In our 12 years of teaching yoga teacher trainings we have found that the immersion Yoga Teacher Trainings work best for 99% of the students. Unlike other Charlotte Yoga Teacher Trainings that last anywhere from 6 months to a year, the group usually meet several weekends every month, Students say they can’t retain as much as they do during our Yoga Teacher Training Immersions in Charlotte, NC. Hence we only teach Yoga Teacher Training immersions in Charlotte, NC that usually last 54weeks. Join us for our 200 hour Yoga Teacher Training in Coral Springs from April 24th – May 21st, 2017. This Coral Springs Yoga Teacher Training on the 200 hour level is Yoga Alliance approved. After successful completion of our Yoga Teacher Training in Coral Springs at O2 Yoga & Fitness in Coral Springs you are eligible to receive the RYT-200 (Registered Yoga Teacher) designation from the Yoga Alliance. 200 hour Vinyasa Yoga Teacher Training held at the Flow Space in Gainesville by Urban Bliss Yoga.